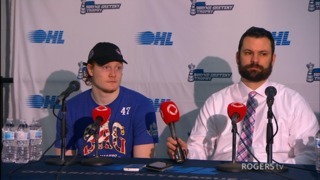 In the end the Kitchener Rangers were just too big, too strong, too experienced and too good. 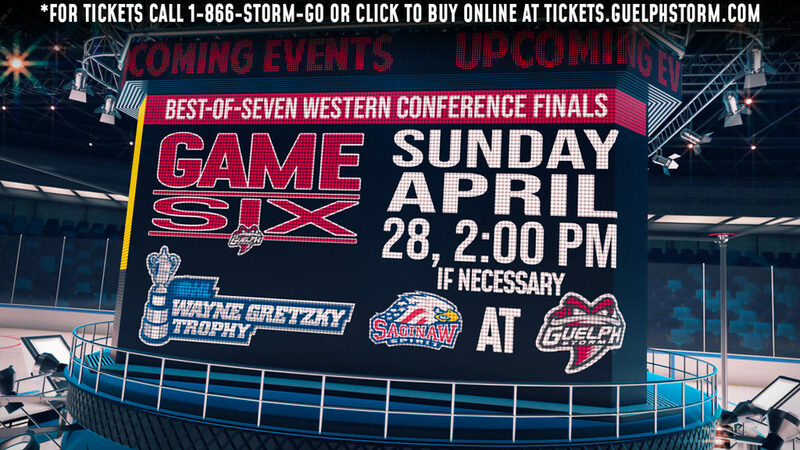 The Guelph Storm put up a valiant fight once again Sunday at the Sleeman Centre, but in the end the Rangers prevailed, downing Guelph 5-2 and taking their opening round playoff series four games to two. 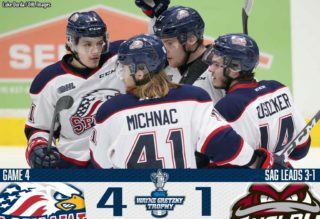 Kitchener moves on to play the Sarnia Sting in the conference semifinals. 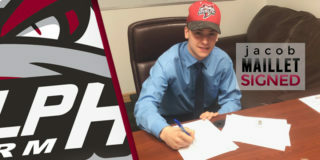 It was a particularly emotional day for Guelph overagers Garrett McFadden and James McEwan, who spent their entire junior careers playing for the Storm. McFadden played 307 games in a Storm jersey, fourth most of any player in team history. McEwan played 252 games. Mark Shoemaker also finished his junior career in Guelph, playing his final season here after coming over in a trade last summer. 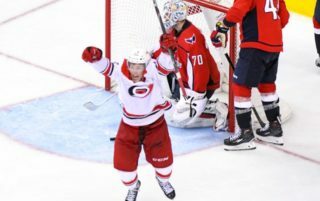 “Being at home and stepping off the ice for the last time definitely makes things more emotional, that’s for sure,” said McFadden, the team’s captain the past two seasons. 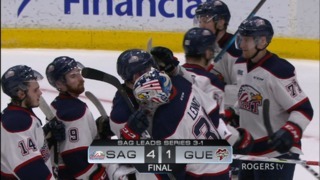 He said skating down to goaltender Anthony Popovich at the end of the game, telling his teammates “good season” then doing the Storm salute at centre made for an emotional end. “It’s hard to sit in there (the dressing room) and think ‘I’m not coming back after the summer.’ But sometimes change can be a good thing and I’m excited to see what the future holds,” McFadden said. McEwan needed a few moments in the dressing room to gather himself before coming out to talk to the media. “It’s kind of a whirlwind right now. I’m just trying to soak it all in,” the Chatham native said. “We gave it our best shot. It’s sad that it has to end like this, but the future is so bright with this group of guys. I’m really excited to watch them,” McEwan said. “All the great moments here. I’ll never take anything for granted, it was the time of my life. It’s sad that it comes to an end, but I’m excited fro the future.